If you’re considering building a new custom home, start the process by downloading our FREE e-BOOK! 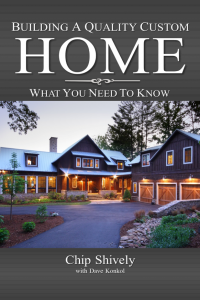 With this book, we’ll help save you time, money, headaches, and heartaches by teaching you exactly what you need to know about building a quality custom home. Understand the top 11 mistakes made by new homeowners...and how to avoid them! Fill out this form and we’ll send a download link to your inbox.